as a Locum Pharmacist through your own Limited Company. Whether you are already a locum pharmacist or have made the decision to become a locum as your next career move, you will already be aware of the many advantages it offers, not least the opportunity for higher rates of pay than your employed counterparts. Your next objective is to find out more about setting up and operating as a locum pharmacist through your own limited company, because, as the most tax efficient way of being paid for your services, it is the best way to maximise your contract earnings. 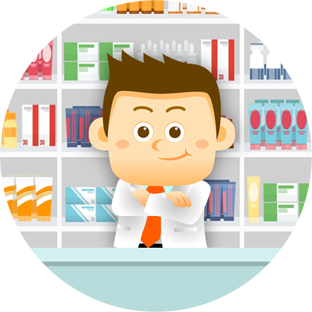 What are the advantages of being a locum pharmacist through your own limited company? If you’d like to know how much you could earn with your own Limited Company, simply enter your details opposite for a personalised income illustration. We’ll also send you our free guide to working through a Limited Company and further details on our accountancy service for Locum Pharmacists.